With summer so close we can almost reach out and grab it, we take a trip down memory lane and look at a few of our favourite, most candid moments from Victoria’s High Country – a true cycling Mecca through the warmer months of the year. Since before we were a cycling crew with a digital presence the region has been our playground most summers, reflected in the fact it gets a more than honourable mention on our about page. Read on for 3 stories from years gone by, join us across summer 2018/19 and help us create a few more. Soup Boys was in its truest infancy. No kits, no digital presence, the longnecks Alex smashed down before suggesting the idea had yet to be drank, yet we found ourselves in Bright in the heart of summer for what was the second contradictory volume of Adrian’s then project titled: “One Long Summer”. 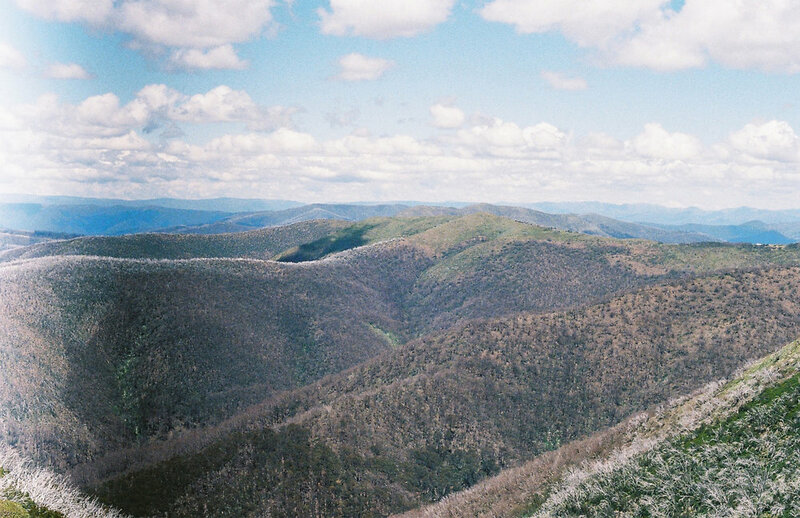 A rodeo and minimal sleep the night before were followed by travel sickness heading up over Tawonga Gap, but bibs put on inside out and a journey into the mountainous unknown awaited 4 of us as we undertook a maiden ascent of the imposing Mount Hotham. A year later we were back, producing a small project in partnership with Tourism North East Victoria – the project that would ultimately fund the birth of this website. The aim of our project was to tick over 1000km for the years edition of the Festive 500, starting with a Christmas Eve ride along the Mornington Peninsula, before travelling up to the Victorian High Country until New Years Day where we aimed to hit the 1k mark. Boxing Day had us take on a 170km “Orchard Loop”, the 27th of December had Mt Buffalo and Mt Hotham lined up to take us over the halfway mark of our goal. Our friend Novak would join us for the morning ride up Mount Buffalo, having just recently purchased his first proper road bike with a little help from Adrian. The upgrade to a Specialized Allez that fit the 194cm Novak made a world of difference to the 53cm frame of an $8 Malvern Star purchased from Wodonga Gumtree. In vans, a buttoned shirt and wavey John Lennon glasses he climbed with a group of us, being passed food along the way as we, still as near-novices, shared tips and tricks to climbing mountains. Every time we would pass other cyclists along the way we would all get into formation, tucking in behind Novak’s wheel as he led us up the mountain, the sight of five other, fully kitted cyclists clinging to this Serbian Superstars wheel truly something to behold. With what we thought was a few kilometres left, we made a complete agreement to make our own ways to the top. Dean had to venture back to Bright having busted a whole bunch of spokes in his ever-reliable Mavic wheels, so Alex and Adrian pushed on ahead for what they thought (according to road markings) was the last kilometre or so. As it would turn out they would be just fractionally past half way, yet by the time they realised it was a little too late. Alex and Adrian got to the top where you’re invited to turn off towards the Mount Buffalo chalet, and sat perched upon rocks as they waited for their friend. The cyclists we had passed on the lower slopes had arrived at the top while we waited, and yet there was still no sight of Novak. It was only after we ventured up to the chalet ourselves to grab some water did we cross paths on our way back to the intersection, hunger flat no cause for celebration. He was exhausted but he had made the top, almost. With a little climbing left we parked up at Dingo Dell Café for an Iced Coffee as our reward. Novak had ticked off his first Alpine climb. Fast forward a few more years; Adrian, Ben and chief mad legend Chris were planning their race against the pro’s up Falls Creek. The Herald Sun Tour was spending most of the race in the region, what better excuse to get up and amongst our favourite terrain at the same time as the pro’s. The race also coincided with a few days off for Novak. Still on his Specialized Allez he was keen to tick another mountain off the list and take on Falls Creek. Due to road closures things were a little more complicated than last time, as Team ABC were stuck at the bottom of Tawonga Gap waiting for the race to come through before heading into Mount Beauty. Instead, via text we lay down the gauntlet. Novak would climb up out of Mount Beauty half an hour before us, and we would see how quickly we could catch him. 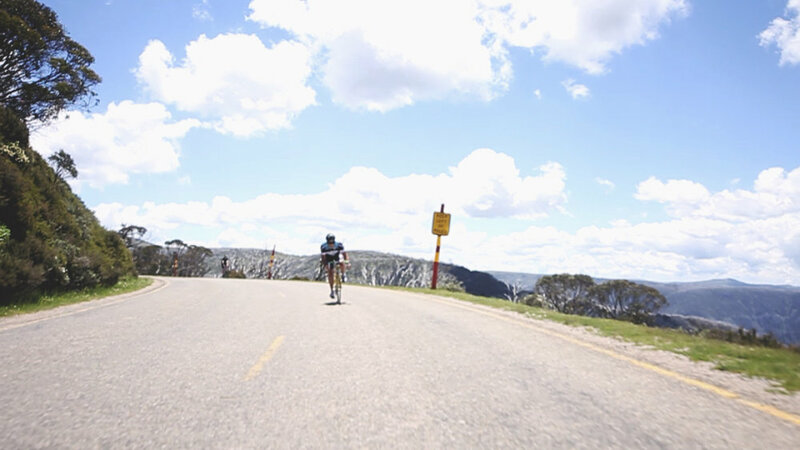 Our aim was for us all to make it to Howmans Gap before getting kicked off the road for the race to come through, but any number of kilometres beyond Bogong Village would be seen as a victory. Heading up past Big Hill Mountain Bike Park on the way to Falls Creek we placed our predictions. The most conservative guess had us catching Novak 12 kilometres in to the 30 kilometre climb. And how wrong he proved us. We ticked past all 3 of our guesses at personal best pace, hitting Bogong Village with what seemed plenty of time to spare. It would be just a few hundred metres before Turnback Creek that we would catch Novak who was over 20km into the climb. Some light refreshments from the Alpine stream at Turnback Creek got us a few more kilometres up the road to Howmans Gap, our goal ticked off for the day, cans of coke to celebrate. After the race came through we helped each other up the last few (toughest) kilometres, side by side as Novak ticked off Alpine climb number 2. He was only too happy to pay us our commission: 30km worth of aero-tucking on the way back down. Not only do these stories coincide with the impending summer, but they happen to sit nicely amidst a period of great excitement for us. Keep an eye on our socials as over the next few weeks we roll out an exciting summer of riding we’d love to get everyone involved in. It’s time to write some new Soup chapters in the Victorian High Country.